Summary: On September 5, a little after midnight, Death-Cast calls Mateo Torrez and Rufus Emeterio to give them some bad news: They’re going to die today. Mateo and Rufus are total strangers, but, for different reasons, they’re both looking to make a new friend on their End Day. The good news: There’s an app for that. It’s called the Last Friend, and through it, Rufus and Mateo are about to meet up for one last great adventure—to live a lifetime in a single day. As the summary explains, Rufus and Mateo are woken up shortly after midnight to a call from a government agency, Death-Cast, telling them that sometime within the next 24 hours, they are going to die. It's a regular occurrence for people now, but that doesn't make it any less scary. They don't know exactly when they're going to die, or how (but since they're both healthy with no illnesses they know it has to be in some sort of tragic way), just that they will die, and there's nothing they can do to stop it. Nobody in the history of the Death-Cast system has ever avoided it. So now Rufus and Mateo, after meeting on the Last Friend app (think of it as the e-Harmony for the dying), are setting out to make their last 24 hours on this earth count. To me, I found the entire concept of Death-Cast to be creepy. If you asked me, I'd never want to know when I was going to die. I wouldn't want to know the date, or even some sort of time frame, or how. I feel like I'd want to enjoy my last moments without truly knowing they were last moments at all, because while Mateo and Rufus were having a good time together, there was still that looming dread that at some point during that day, they were going to die. In other news, I really enjoyed Mateo and Rufus's characters. They were both wildly different while managing to stay somewhat similar, which is confusing but makes more sense once you read the book. Mateo is more like me, afraid of risks and dangers and getting hurt, even more so when he meets Rufus because he knows that something is going to kill him, but he doesn't know what. Rufus is more of the rough-around-the-edges type, being that the scene where we are introduced to him involves him beating another guy to a pulp. But somehow both boys find a way to become friends and ride out their last day together, taking all sorts of risks, saying all sorts of goodbyes, and basically just doing everything in their power to make their last day count. (Major spoilers ahead so please skip to the next paragraph if you don't want the book ruined for you!) Okay, so the ending of this book actually destroyed me. 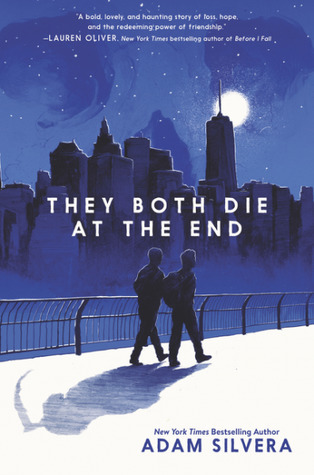 I guess in some way, I figured that Mateo and Rufus wouldn't die at the end of this book -- because, you know, since the title of the book is They Both Die At The End, I thought that was too much of an underhand pitch and that Silvera was going to throw a plot twist in there that made them survive. But I guess the title of the book was meant to make you think that they couldn't really die at the end, but then they do. I definitely shouldn't have been nearly as shocked as I was, since, like I just said, it's in the freaking title of the book, but I audibly gasped and felt myself genuinely stunned. And that last paragraph of the book? Forget it. I was shaking and totally stunned by it -- I haven't felt a physical response like that to a book in a very long time. It's just open-ended enough that you don't really know if Rufus dies, but it's pretty much a guarantee. It was an incredible way to end the book, in my opinion. Just the right amount of shock and mystery. There really wasn't anything that I disliked this book. The plot was a totally new concept that I loved, no characters were really dislikable (other than Peck), and the brief interludes with the other characters kept things fresh and interesting, especially when characters would cross paths with each other without realizing. I can't think of a single thing about this book that I didn't enjoy, even if the concept for the story was super grim. I even loved the author's note in the front of the book, where Adam Silvera talks about how we really don't know how much time we have left on this earth, and that we need to take as many risks as we can while there's still a chance to do so. It definitely resonated with me, and I liked it a lot. Overall, I absolutely loved They Both Die At The End. If you haven't read an Adam Silvera book yet, I will definitely argue that this one is his best and the one you should try first in September. I haven't felt so amazed and shaken by a book in the longest time, and this is going to be going up there with one of my favorite reads of 2017, for sure. Hats off to Adam Silvera, one of my favorite YA authors, who was undoubtedly done it again with another amazing, heartbreaking, fantastic book! 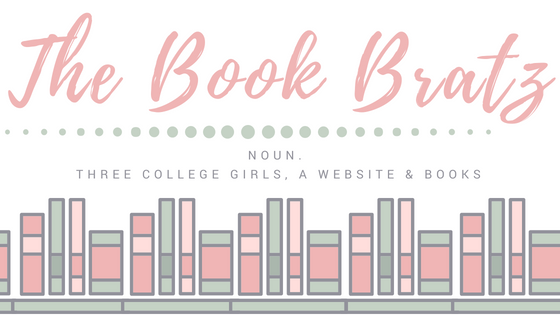 Introducing Brooding YA Hero: The Novel! Cover Reveal: No Limits by Ellie Marney! 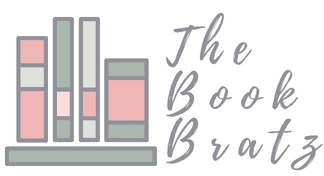 Top Ten Tuesday: Our Favorite Books From BookCon!